So it’s 3pm and you just can’t stop thinking about chocolate, chocolate and more chocolate. You are tired, want to have an afternoon nap but of course, that isn’t possible. Your focus is wavering and you feel like the energy has been zapped right out of you. Here is my go-to snack for afternoon sweetness. 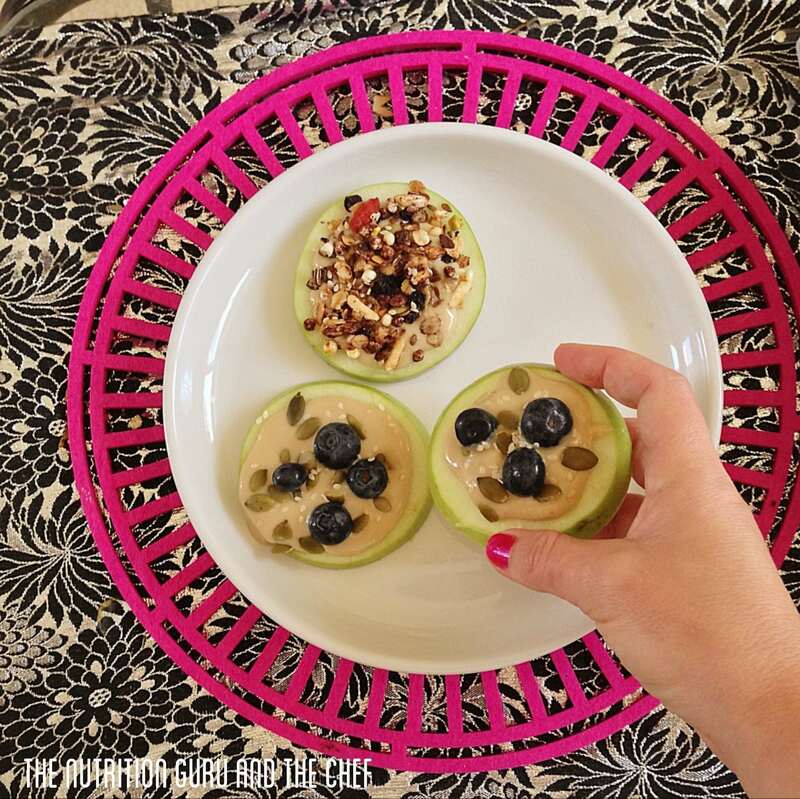 It provides carbohydrates for energy, protein and good fats to make you full and it looks cute too. It’s also packed full of fibre which helps protect our bowel, lower cholesterol and fill us up. 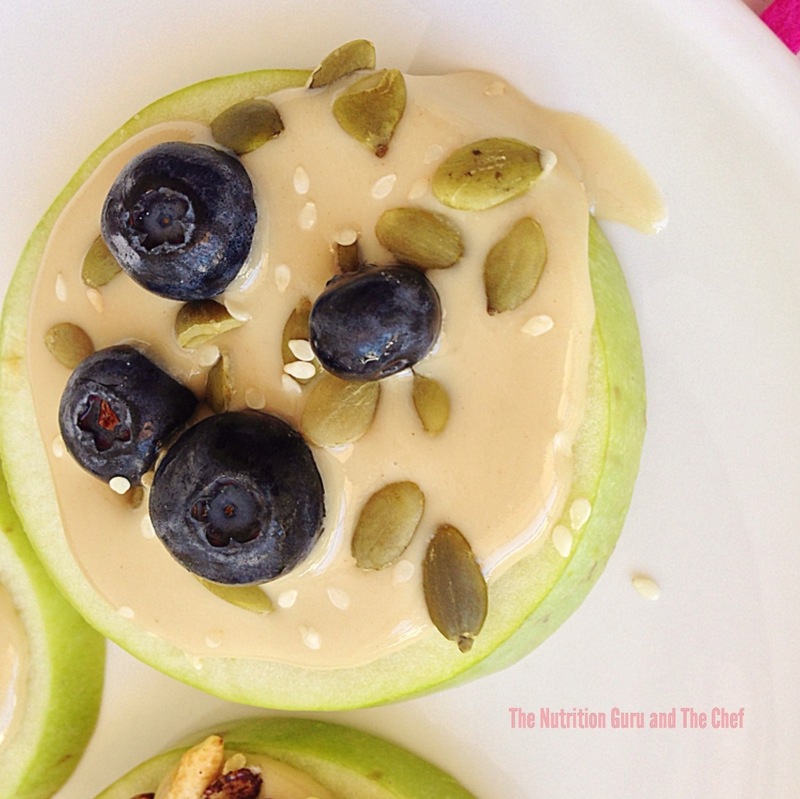 Super easy to make, you can also munch on these for morning tea or dessert and the kiddies will love them! 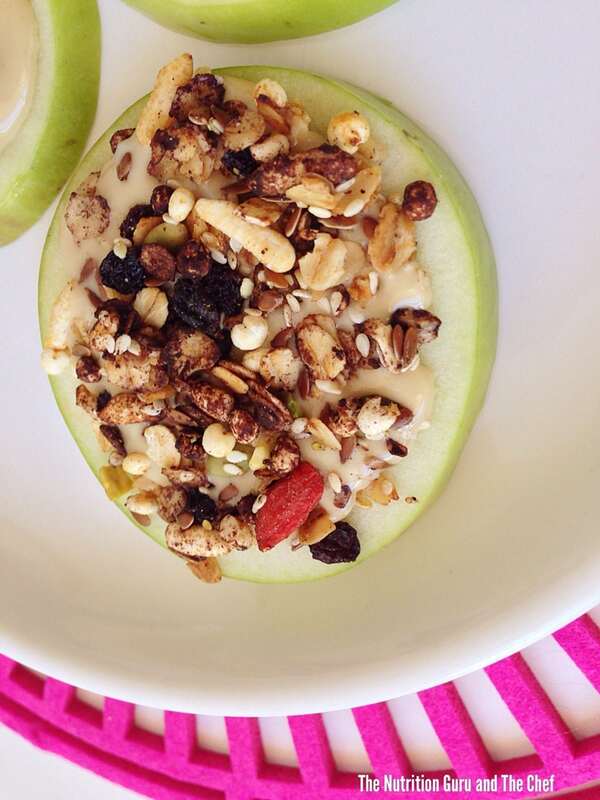 You can play around with toppings, a nut butter on top of apple with a sprinkle of nuts is just deliciously perfect.